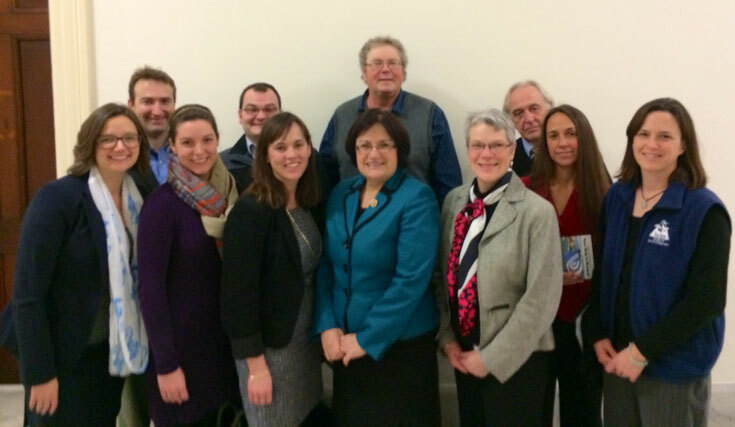 Last month, 42 stakeholders from across the Northeast and Mid-Atlantic came to DC to speak with Congress and the Administration about the benefits they are seeing from the regional ocean planning efforts currently underway in these regions. 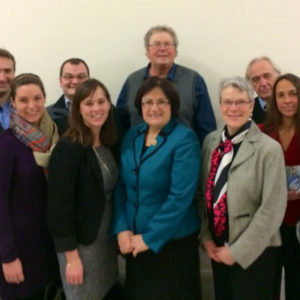 Representatives from commercial fishing, offshore renewable energy, ports and maritime, shipping, undersea cables, recreational fishing and boating, as well as research, education and conservation organizations, and more came together to deliver a common message – smart ocean planning makes sense. These stakeholders met with 57 Senate and House offices, Senate Commerce Committee staff, the National Ocean Council at the White House, U.S. Coast Guard, and Bureau of Ocean Energy Management (BOEM). In each meeting, the stakeholders voiced their support of a process that gives them a seat at the table with state and federal government agencies to address management of their regional ocean resources and ocean uses. The message was simple: ocean planning is moving forward and has real benefits to states and industries. It provides a seat at the decision-making table for ocean users across the region and seeks to proactively identify ocean uses and resolve conflicts before they become problematic. Anti-National Ocean Policy riders in Congress would undermine the ocean planning work that the Northeast and Mid-Atlantic regions have already invested in; these riders are motivated by political agendas from outside these regions that have nothing to do with the practical, pragmatic work being done. These 42 industry, academic, and conservation representatives outlined their individual interests in the regional ocean planning work, stressed the need for further collaboration among the group, and asked Congress and the Administration for their support in ensuring regional ocean planning work moves forward unimpeded. Ocean Conservancy supports coordinated ocean management decisions between state and local governments and ocean users to establish a healthier ocean and a thriving coastline.